Tonight we performed a server migration for our application platforms as well as our phone system. As a safety practice all users have been logged out from all instances of their accounts for security purposes. You will need to relogin. We hope you are happy with the new updates as we have tested the system and found significant speed improvements in page load and query time. The phone system is also faster in general and we see a quicker call to ring speed. If you have any issues, please feel free to email us at support@tldcrm.com with any problems and we will jump right on it. We will be open at our usual hours ready to receive feedback or bug reports. Fully PCI / HIPAA Compliant Data Center hosted via AWS (Amazon Web Services). We have signed a BAA with AWS. DDoS Protection via AWS Shield. Increased Speed via AWS EC2. Application and Data are now on the same internal network. Less Estimated Hardware Downtime and Disaster Recovery. Due to AWS EC2 Virtualization Technology running the Server. AWS Snapshots of the Server can be spun up in an instant. Possibility for Load Balancing in the future and Servers in different Regions. Application, Databases and Phone System are now all on separate services. This means if there is a server outage for the system, the phones don’t go down, and vice versa. Now has it’s own protected server in AWS. Now has it’s own database server in AWS for CDR’s. Running State of the Art Asterisk 14.4 Virtual PBX. Old: 8khz bitrate New: 48khz bitrate. Now Supports Opus Codec for phone calls. Opus is unmatched for interactive speech and music transmission over the Internet, but is also intended for storage and streaming applications. It is standardized by the Internet Engineering Task Force (IETF) as RFC 6716 which incorporated technology from Skype’s SILK codec and Xiph.Org’s CELT codec. Using this Codec is optional. The system still supports the 8khz ulaw codec. Opus files are 10x smaller than ogg, and can be converted to any other format. No more crashes due to attended transfers. 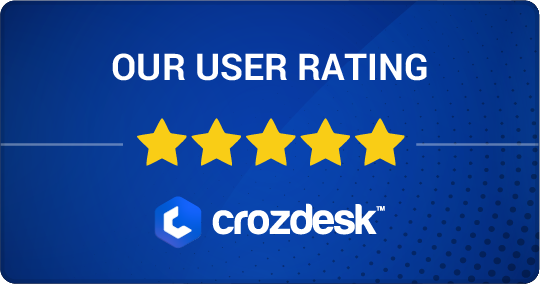 This newest version of Asterisk will allow us to do some amazing things between the CRM and the phone system as it has a standardized development interface. Recordings Stored in 3 Locations. Application Server, Phone Server and AWS S3 Backup. Complies with Medicare regulations for backups. Protect your commissions! This is a new feature that has been a long time coming. This is part 1 of 3 parts regarding commissions. Today we launched our first rendition of the Commissions Received module in manual mode. The system will allow you to manually enter commission records and attach them to policies in a quick fashion using a typeahead quick lookup / search from the add panel. Instead of using a modal (popup window), we are using a accordion menu that allows you to enter data quickly. You can even take a statement for one clients commissions and just keep changing the dates and adding if it’s for the same policy. Pretty easy! The commission system allows you to put in an amount, and an optional breakdown of the amounts. If you don’t put a breakdown it will automatically put the amount as “flat” for you. If you fill in the breakdown and don’t fill in the amount, it will automatically total it up for you. In the case of chargebacks, you should be putting a negative number. You can enter a commission received as just a chargeback with a negative amount. Commissions statements do NOT require they be attached to a policy. We did this because we know sometimes you may get paid on commission items from a carrier not related to a policy, or for a policy you haven’t entered into the system. We provide a Reference and Description field to allow you to enter text based information on the policy in this case. You may also attach an agent to the commisison statement. Although policies already have agents set to them, we know sometimes the commissions either all go to one person, or may be attached to different people (in the case that everyone who writes under their own name gets paid a commission from the carrier separately). Records are editable, and keep track of who last modified them. You can trash a record, but not delete it. We currently do not store a history of record changes however as this section should be only used by administrators and accounting (Managers do not have access). You may also put in a paid through date for commissions that are up front payments. This should help you keep track of when the next payment should come in. You will also be able to see a list of commissions in the logs section of the dialer screen if you have the permissions to see commissions. All the data being entered here and this part of the system will eventually be used for reconcilation purposes vs the Commissions Estimator once we are able to create a schedule of what should have been paid to your agency. The same holds true for the Payroll portion of the commissions section so that we can compare how much money you are making per sale your agents makes. The payroll section will even include hourly payments, not just commissions per policy. There are currently no reports written for this data. We are open to suggestions! How do you want to see it? Tables? Graphs? Let us know. Every report becomes a permanent addition to the system and we are interested in being able to offer robust reporting on this topic. We would love any other feedback or feature requests! If we missed something let us know. Commissions is something no one has gotten completely right on any system. We want to make sure we do. Fixed a bug in Notes that was not letting you set a CSR Agent. Added Note to the CSR Table so you can see what it was about. Reorganized Dashboard into tabs. Standardized all views. Added buttons to open leads to prevent agent from having to just look it up via search. Added CSR Section into Dashboard. If you have a CSR assigned to you, it will show up there with details and the note set. Shows you policies that once had an active sale and have no other active sale attached. You can now search by marketing and newsletter opt in. These two fields now show up in exports. Calculates Policy Expiration Date by Date Effective and Duration in Months. You can now play recordings from the browser. Managers can no longer download recordings due to possible PHI Data. They can still play them. Added Calls Report which gives you inbound and outbound call times. All sections are exportable. There is now a section on the User Permissions called “Abilities” which is split from roles. Abilities allow for fine grained permission in the system. “Verify” allows an agent to self Verify and Submit policies. This does not allow them to cancel them. “Cancel” allows and agent to Cancel policies. It does not allow them to Verify or Submit them. “Upload Documents” allows the agent to upload documents to a policy. “Send Mail” allows and agent to send the welcome email, otherwise the mail button will not show. “Set Vendor” allows an agent to set the Vendor from a list of “Agent Selectable” vendors. A Vendor must be configured as “Agent Selectable” to shows in the list of Vendors for an agent with this permission to use. Set Vendor ONLY WORKS on creating New Lead that has not been automatically created by an Vendor with an Inbound Number set. “Change Vendor” allows an agent to set any vendor regardless of status and “Agent Selectable” both when creating new leads or modifying them. Vendors with an Inbound Phone creating new leads will still create the lead based on the Vendor settings. It can then be edited afterwards with this permission. Vendors and Policies now have new mass update features for some popular fields. Be careful, there is no undo. The lead section now allows you to change columns as well as sort data. We will be adding these features to all Policies sections in the next patch. The change columns button can be found under filters. Sort By and Sort Order can be found in the leads section. This now gets set when the “Reactivate” button is pressed. You can now search by Date Paid and Date Reactivated. The Boolean Paid checkbox has been added to the “All” table. Search by Policy Number and Application Number is now possible as well. Vendors can now be listed as “Active, Inactive or Inactive Visible”, similar to users. Inactive visible will still show when modifying leads soas to not accidentally remove Vendor data. Inactive Visible will show on Filters throughout the system, Inactive will not. Sell your live transfers through TLDCRM! We make integration between your lead sources and clients easy and transparent, from our relay system to our reports, tracking charges, expenses, and costs has never been easier. We’re here to let you focus on selling your leads in real time as they come in, or as live transfers with the push of a button. TLD CRM’s Relay system does all the heavy lifting. Clients can’t sell in certain states? Relays are configurable to send only to applicable states! Automatically pass your inbound leads straight from your vendor or landing pages to our system and then immediately to one or multiple clients. Use any Dialer in conjunction with our phone system to pass calls seamlessly to call centers throughout the world. Track how much you need to charge your client by setting a price per relay and utilizing our ever-evolving reports. Auto-recording (on agent pick-up) of calls to queues (hunt/ring groups). Caller ID passthrough for our relatively new Attended Transfer functionality, this is particularly helpful for warm transfers from your office to a buyer. Submit a support ticket or give us a call during business hours to ask how we can activate this for you or how this would best fit your needs. Thank you for using TLD CRM.